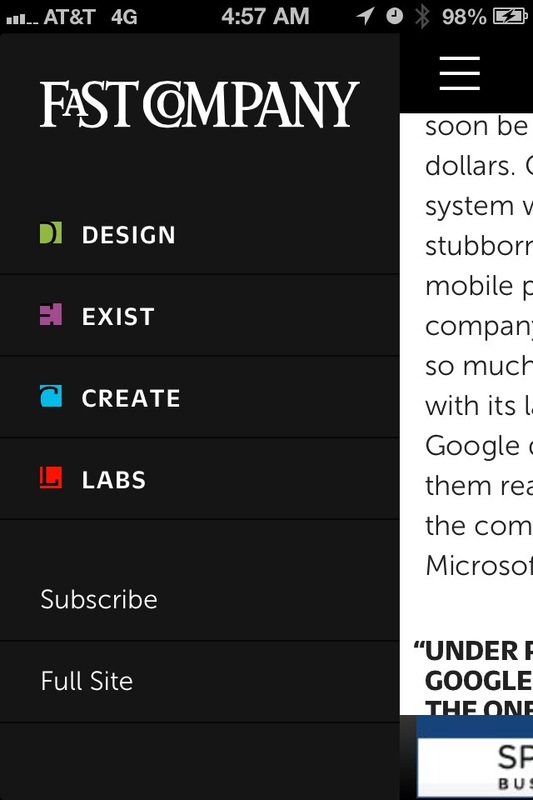 My new Web dweeb obsession is the Navigation Drawer as defined in Google’s Web Fundamentals. First made popular by the mobile version of Facebook (with it’s roots found in Google Chrome’s tool icon theft of Apple’s iOS playlist reorder icon), now it can be found on every popular site and I predict will become as commonplace as the header and footer to site design (there’s a reason Google includes it in it’s Web fundamentals). 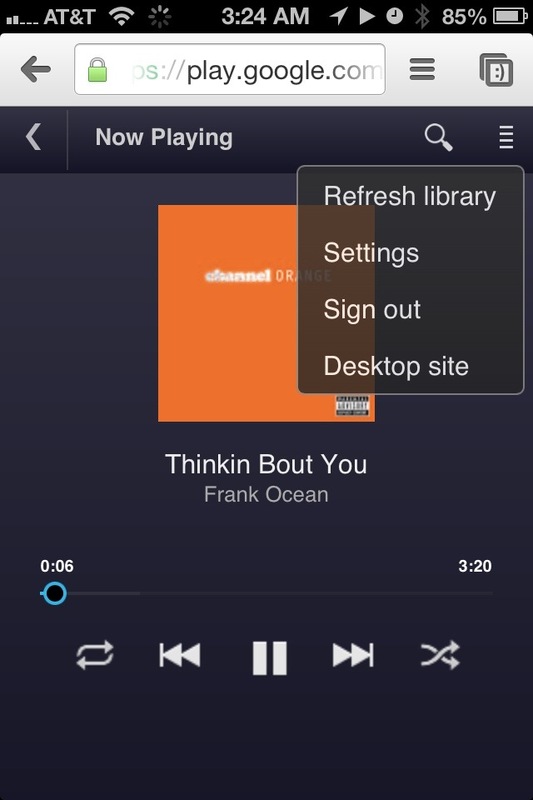 Popular sites have even begun to include it into desktop version site design – YouTube is one example. 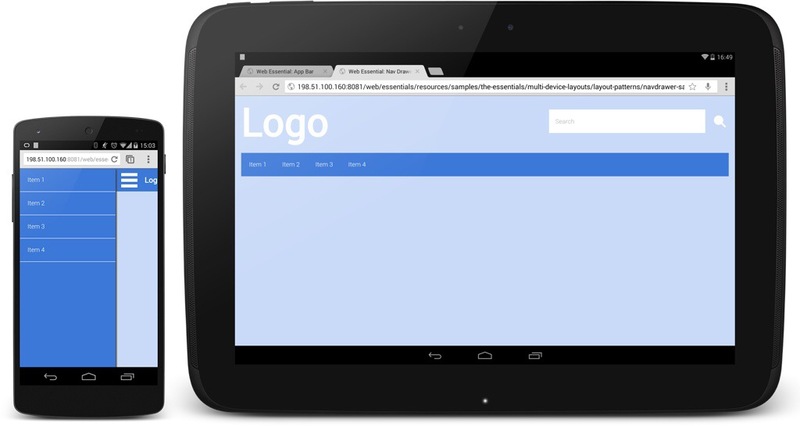 I myself have been studying how the functionality works in jQuery and have many prototypes (here’s my latest: http://ejgh.co), but I will now begin to adopt Google’s standard to simplify things going forward. My hopes are now with this standardization by Google others will more heavily adopt and it will become more standard in WordPress development. 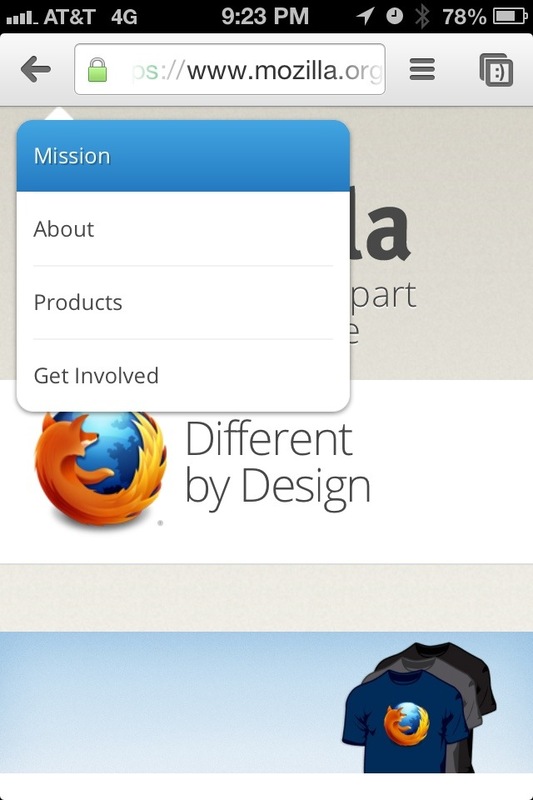 Brad Parbs: 320px and Up, Getting Started with Responsive Design. 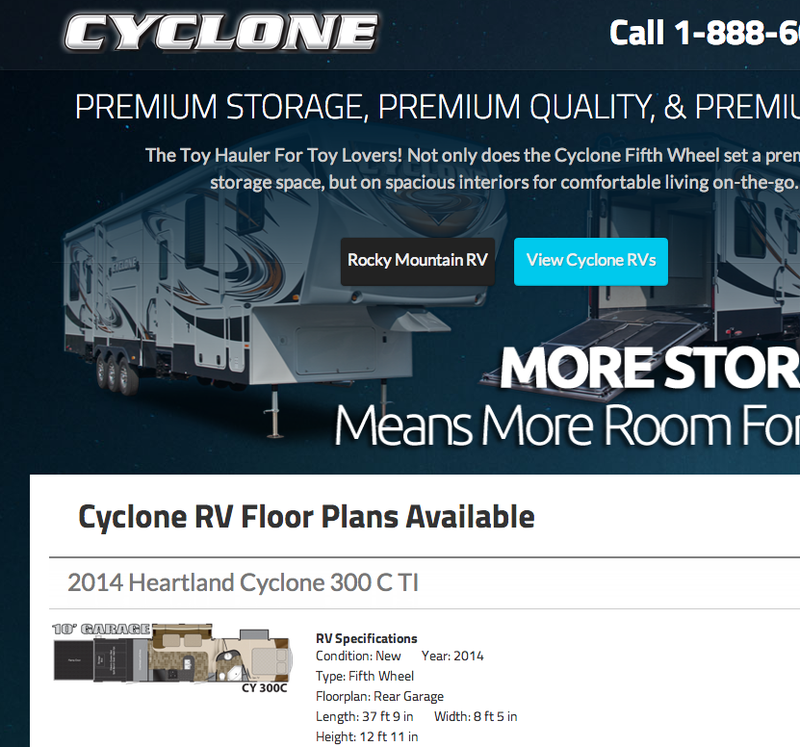 Back in January, 2013 I had the opportunity to design a responsive landing page for a very popular Toy Hauler brand name, Cyclone RV. Using WordPress, I properly optimized the target keywords for the Web site and quickly turned my focus on making this landing page display as well on a mobile device as it does a large screen desktop. I made sure to keep the phone number front and center on the mobile layout, so anyone interested in buying a Cyclone RV is only a finger tap away while swiping through the many floor plans available. For the past 2 years I’ve been reading about responsive design and how to properly implement it across multiple browsers on multiple devices, but before now I’ve only tested and followed the lead of others in regard to the best way to accomplish a successful responsive design. 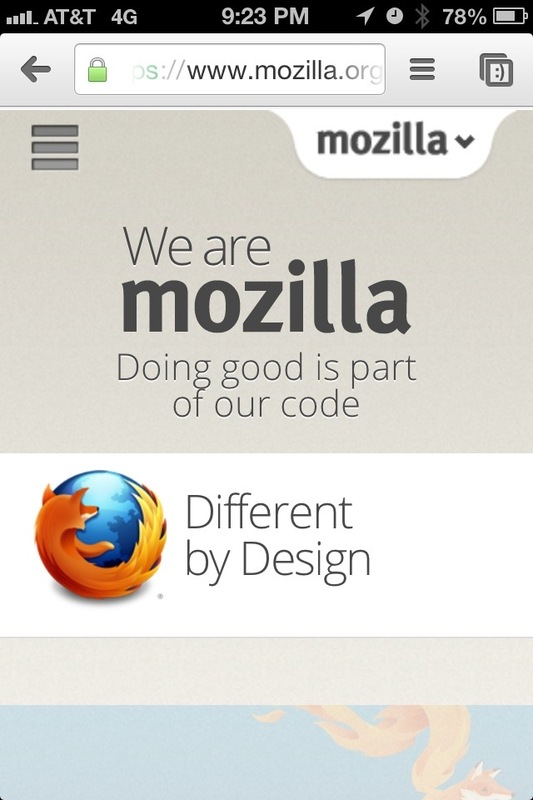 The experience has left me with a much stronger opinion about mobile design than before. I feel privileged to have been given the chance to develop a search engine friendly responsive design for Cyclone by Heartland RV, and I look forward to many more! 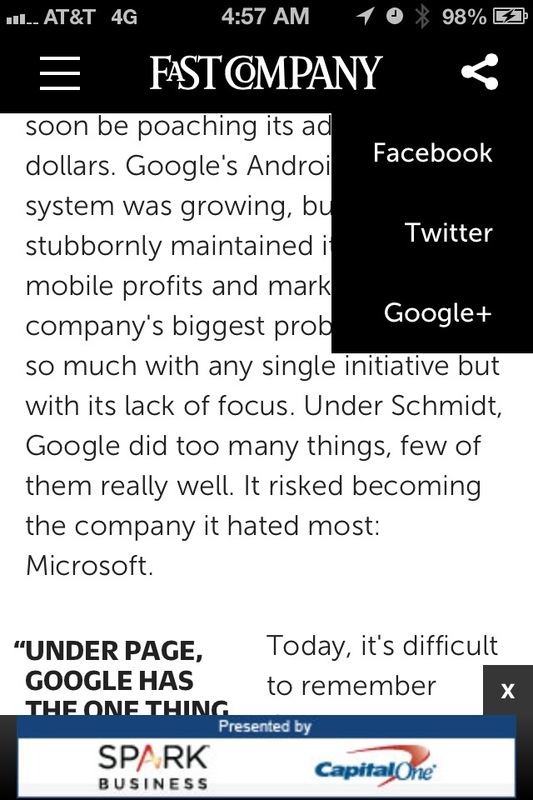 A very intuitive mobile Web side panel and drop down social share. My hat is off to Fast Company. 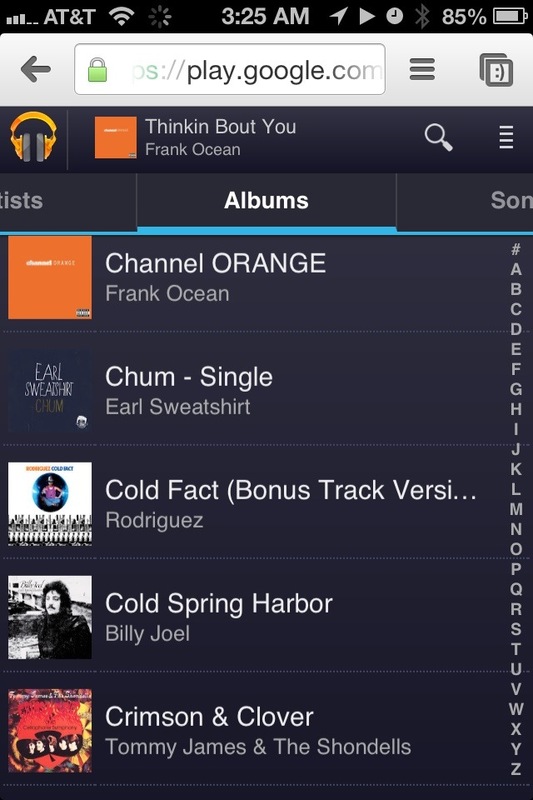 Google Play Music mobile Web app + All Access for $7.99/month = my new favorite music app. 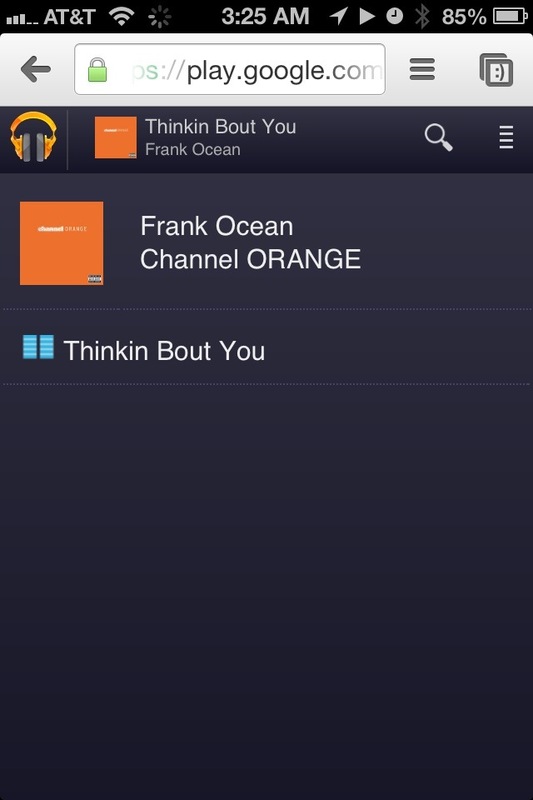 The Netflix model for music. 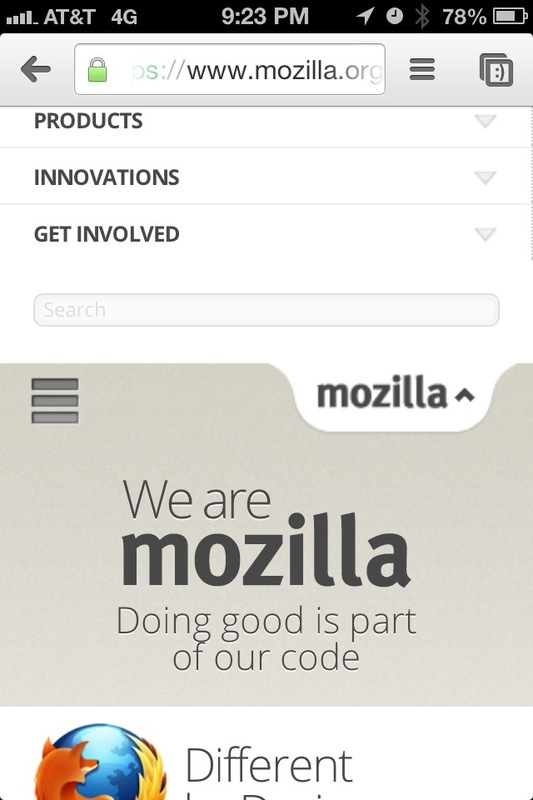 Mozilla’s take on a mobile Web menu. No side panel. Not very intuitive.